You may already know that Netflix allows subscribers to rent actual DVDs and Blu-rays. It has offered subscribers this service for a long time and the company has also developed an app that helps people manage their DVD queue. Somehow, this part of the company’s business is still profitable. Most of us don’t use DVDs anymore. Still, more than four million people still use this service. The DVD queue management app that was launched earlier this year for iOS has now been released for android. 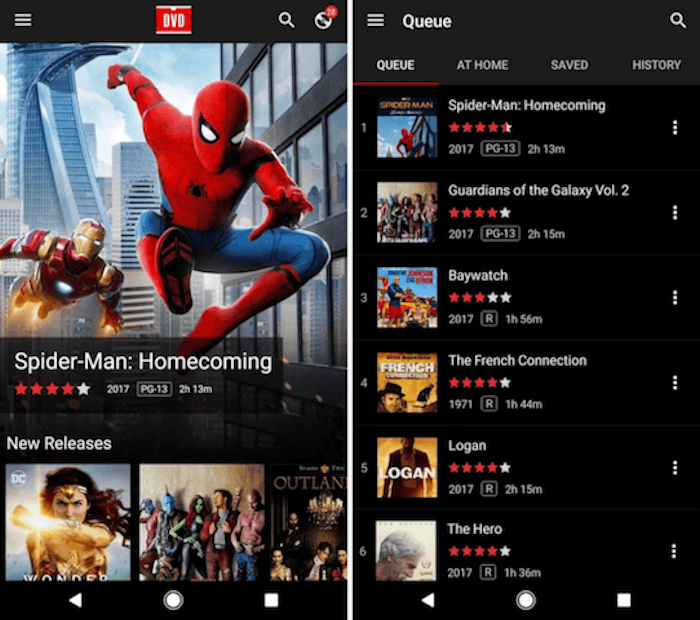 Netflix’s new Android app can now be used by subscribers to manage their DVD queue. So Android users don’t have to feel left out. You can use the app to browse thousands of movies and TV shows that you can order in disc format. The app is also going to give you recommendations based on what you ordered in the past, so it is worth using. You can browse the catalog by genre and mood as well. Search by actor, channel, and more. They can pick the movies and TV shows that you want to watch and build the queue. Netflix will send out discs with free shipping both to and from your home.